Norma Baker-Flying Horse is a working mama who is growing her own business and raising strong warriors in the process. The impact working mothers have on their children is phenomenal. Not only do they radiate empowerment and resiliency, but their confidence and independence rub off on their children who watch their every move. 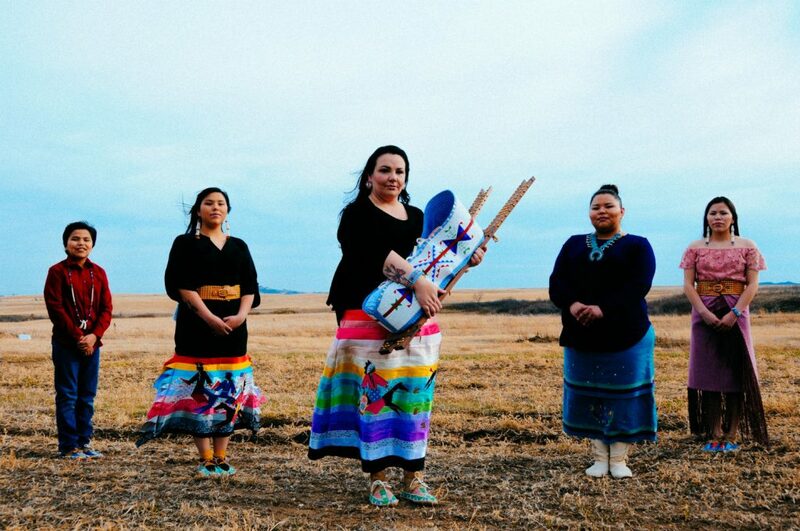 These working mamas are also raising strong warriors by instilling their rich indigenous culture into their children. From juggling motherhood and a full-time job to growing her own business, meet strong mother Norma Baker-Flying Horse. I am an enrolled member of the Hidatsa tribe of the Three Affiliated Tribes and a member of the Dakota Sioux and Assiniboine tribes. 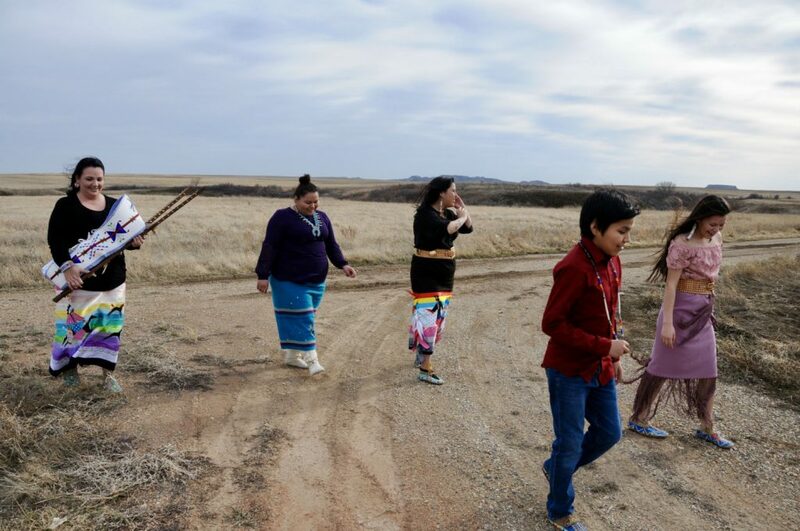 I currently live on the Fort Berthold Indian Reservation in North Dakota. I currently work for the current Three Affiliated Tribal Government as an Executive Assistant to the CEO. 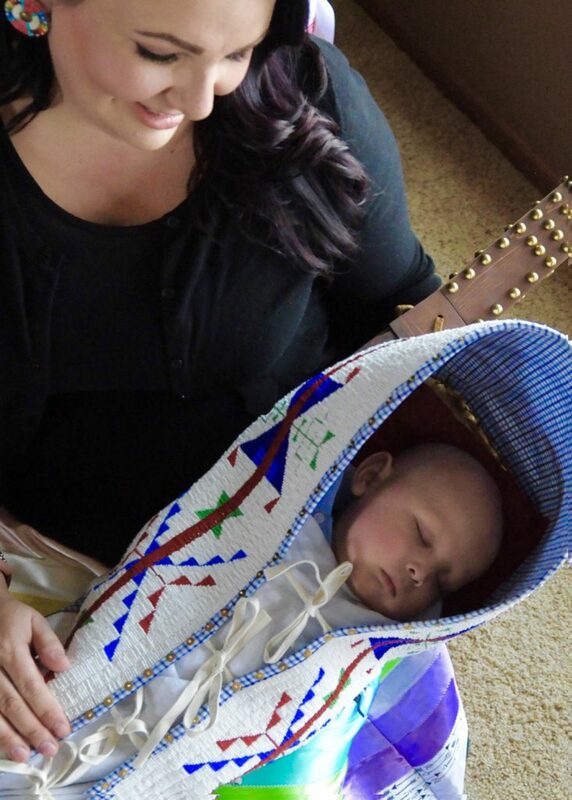 I also own and run my own Native design business, Red Berry Woman. Tell us about your business. When did you start your business? My design work for my line consists of everyday clothing and formal wear which incorporate Native American cultural aesthetics. My clothing line’s purpose is to represent who we were and are as Native people while embracing the everyday clothing that was forced upon us during the creation of reservations and the boarding school era. I started my business three years ago in 2016. Why is your business needed in Indian Country? What are the problems your business solves? My business showcases the beauty and talent of our traditional garments while allowing people to represent through fashion our tribal affiliations and traditions. What are you most passionate? How does that help your business? I lived in various areas growing up as an “army brat.” I saw different cultures and backgrounds stationed in different places with my family, such as Alaska, Oklahoma, and Wyoming. I often found that these people were as interested in knowing more about my Native background as I was about theirs. There were two reactions I always seemed to come across growing up in different areas and my travels. One was people seemed surprised to find out Native Americans still existed, and two, that I was Native American at all as I don’t look like the “typical” Native American that many people see portrayed by Hollywood. What’s it like being a working mama? 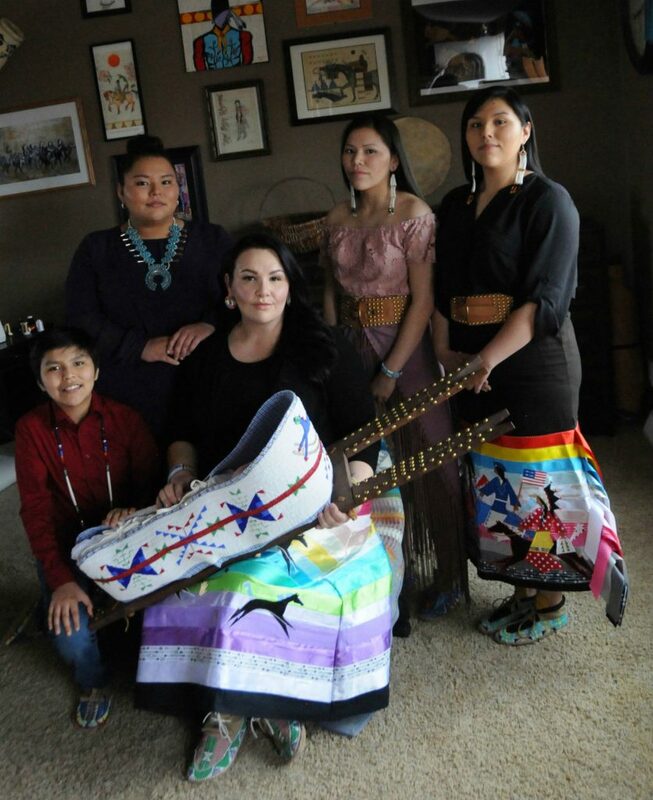 I became a full-time mom to four children in 2009 when I married my husband, Elmer Flying Horse Sr. They ranged from age 13 on down to age 6. I was working for my Tribal Court as the Juvenile Court Director then, so I was working a demanding job and having to keep up with school activities, day-to-day stuff, and maintain a home alongside my husband who was also working and still works as a sergeant for our tribal jail. We manage to keep up with our kids, even with powwows where all our children, myself and husband participate. I think the only days it became hard were when I couldn’t be in two places at once, so missing a few school events was expected. It wasn’t until this past November 2017 that I gave birth to my first child, my son Connor. My two eldest daughters are both living on their own and working, so it’s now my 17-year-old, my 13-year-old, and my baby. I currently work for our tribal government as an executive assistant and recently started my fashion line. Between juggling baby diapers, school functions and my work with the tribe, I’m trying to keep up with fashion shows and keeping people dressed in my Red Berry Woman line. How difficult is it to juggle motherhood and your careers? How important is it to put motherhood first? Some days are harder than others, but none of what I do day-to-day with my kids, work, and fashion would be possible without the help of my husband and my children who are growing into strong young adults. My husband and I remain busy but always take the time to speak to and with our children. That is the key to being a working mom; knowing when to take advantage of the moments you get to talk. My time with my children is limited being a working mom of not only one job, but of two. So when I get time with them, whether it’s in the car or eating supper, I try to talk with them about what’s going on in life and remind them that even though I’m busy, I’m never too busy for them. What is the one thing you wish to teach your children about being a working mama? I believe children learn by not only what you tell them but what you show them. 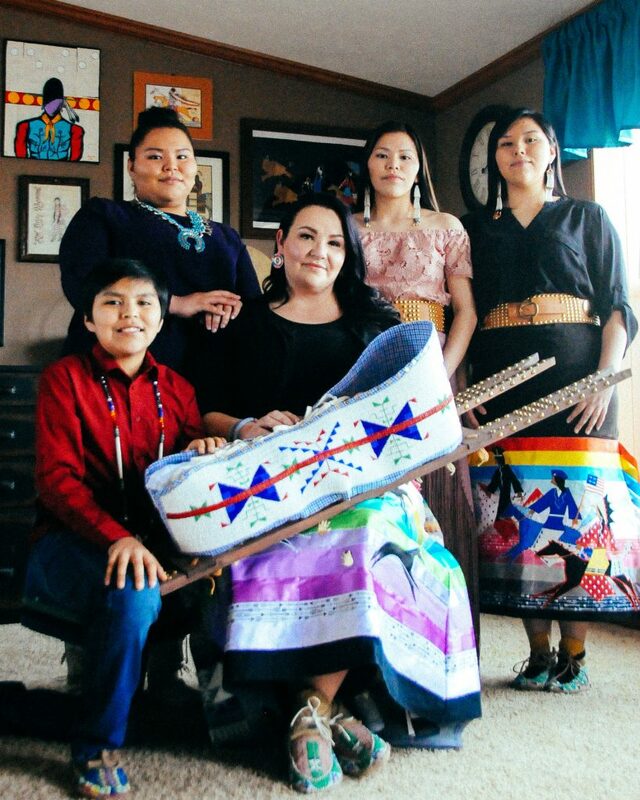 My children have watched me work hard to earn a living in the judicial field and tribal government, as well as watching me start my fashion line which can come with a lot of criticism. How I’ve handled all of this shows my kids the importance of both putting in the hard work and chasing your dreams. Whatever my children decide to do, I want them to be happy, healthy, and prosperous. What’s your word of advice to any working mamas out there? Don’t forget yourself. You sometimes have to be your own cheerleader and remember that if you are doing your best to raise and provide for your children, you are doing a great job and deserve to be applauded, even if it’s your own applause.